Thread for various insignificant questions that don't deserve their own thread! The Smiley Smile Message Board | Smiley Smile Stuff | General On Topic Discussions | Thread for various insignificant questions that don't deserve their own thread! Re: Thread for various insignificant questions that don't deserve their own thread! True, but they made amends before Carl died. 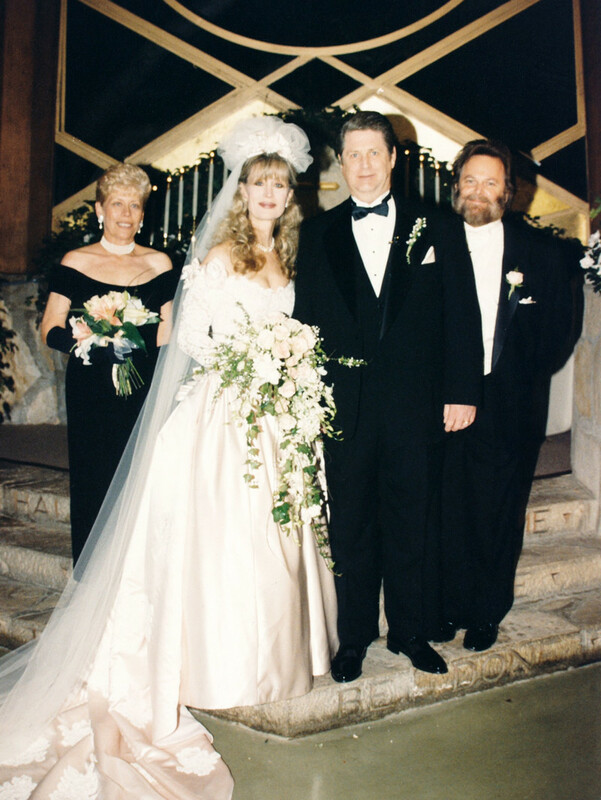 Carl was the best man at Brian's wedding in 1995. Yep, time to bust the myth about Brian & Carl being in bad terms. I don't know about "bad terms", but Carl and Brian seemed to have a strained/awkward relationship throughout the 90s (and late 80s for that matter). I think it's a myth to say they were fully estranged. "Bad terms" is a tougher term to parse one way or the other. But "often strained" seems like a good term to used based on the extant information. I think Landy was a big part of what messed up their relationship. Not the only cause, but a major cause. Just found this scan of the liner notes on Discogs. It is Dean Torrence. 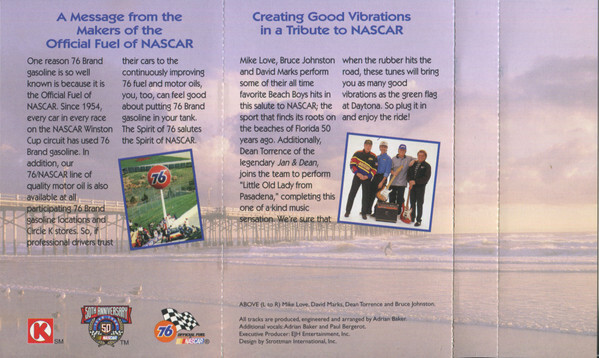 Somewhere I do own a copy of the NASCAR cd, but not sure where it is. I don't even remember that photo featuring 4 members... is that a posed shot with Mike, Bruce, Dave, and Dean? If so, I wonder if it was ever floated that Dean would join the "BBs" band in this odd transitional time. Seems odd to do a photoshoot otherwise. He did also appear with them at that “America’s Band” Super Bowl gig that Al wasn’t invited to so it’s possible. Yes, that's my take on it too. Carl (in the late '80s) was very frustrated about Landy keeping him from communicating with Brian. Yes, I read threads about it. I think it's a myth to say they were fully estranged. I meant exactly that. Some fans dramatize Brian's & Carl relationship, smb. even said they didn't reconcile till Carl's death. Which I don't believe is true. "Bad terms" is a tougher term to parse one way or the other. Well I figured "bad terms" is in the same vein as "strained". Thanks to clarify. How did Blondie "get back into the fold" and start touring with Brian? How did you wind up on this Brian Wilson tour? It's a funny thing. All of a sudden, I get a call from Jeff Foskett. He's Brian's musical director. He said that Brian wanted to know if I wanted to come down and do some singing parts on his new album. This was totally out of the blue. Out of the blue! I hadn't been in a studio with Brian for 40 years. I said, "Sure!" I went down to Ocean Way and was there for about an hour, layering on parts and stuff like that. When I was leaving, Jeff said, "Hey Brian, don't you want to ask something to Blondie?" Brian goes, "Oh yeah! Do you want to come sing 'Sail On Sailor' at the Greek Theater in Los Angeles?" I said, "Oh, sure. Just give me a buzz and we'll figure it out a little later." And then it turned into two shows and another three, and now I'm being brought in on eight gigs. It's nice to be a part of it. I wasn't expecting this when I was going to the studio. It's very nice that he asked me. He's a good guy. The one funny thing that struck me after not seeing him for a while is that I was so used to seeing him with his two brothers. When I walked into the studio and shook his hand, I was looking at him and seeing the other two, one on each side. It was a little unnerving. It tripped me out. Not an insignificant question, but is it known when Pet Sounds was written? I mean, was Brian working on it in the summer of '65? When the BBs were approached about the follow up to Summer Days, had Brian even begun writing their next album? I know there were a few sessions in the fall, so by Oct/Nov he had a few songs in the works. I also read that I'm Waiting For The Day was copyrighted in early '64. Tony Asher didn't get involved until sometime in Dec/Jan. So, is it known if Brian was methodically writing the album over the course of, say, 6-8 months or if he wrote the majority of it relatively quickly and/or concurrently with the recording of the album? I don't know much about this, but during the I Know There's an Answer group vocal session on SoT there's a part where Brian mentions writing God Only Knows earlier that day, which I think was around March 3rd or something in the middle of the sessions for the album. No idea when the rest were written though. In the 1974 BBC radio special Jack commented that they recorded a new backing track for the song Surf’s Up but scrapped it because the original track was superior to the new recording. Huh, wonder why they even tried that instead of just using the original in the first place. Goes to show you can't improve on 1966 Brian Wilson. Artist is listed as "The Beach Boys", employer name has "Brother Records" crossed off & "Marilyn Wilson" written in. Dianne Rovell is the contractor...she and "leader" Mike Rubini stayed til 5:00pm, the others only until 1:30. Can anyone point me to a site where I can hear or see Randy Bachman (or the band he was in, Union) doing Keepin the Summer Alive? Can you watch this video and note the comments, and not be totally convinced that our society is already on an irreconciliable path towards civil war and destruction and we are totally unable to prevent it? Do any pictures exist from when Dean Torrence filled in for Bruce Johnston in the early 2000's? I was reading a post on Facebook, something about Mike’s reputation beginning to get better in 2018. But in it it mentioned Mike having to hire extra security for him and his family after the 2012 C50 ending because of death threats he was receiving. I’m assuming that was in his book (that I haven’t read), just wondered if someone could confirm that. What a shame if that’s true. I get he has a bad reputation, but why on earth would anyone stoop that low? Powered by SMF 1.1.21 | SMF © 2015, Simple Machines Page created in 0.628 seconds with 22 queries.